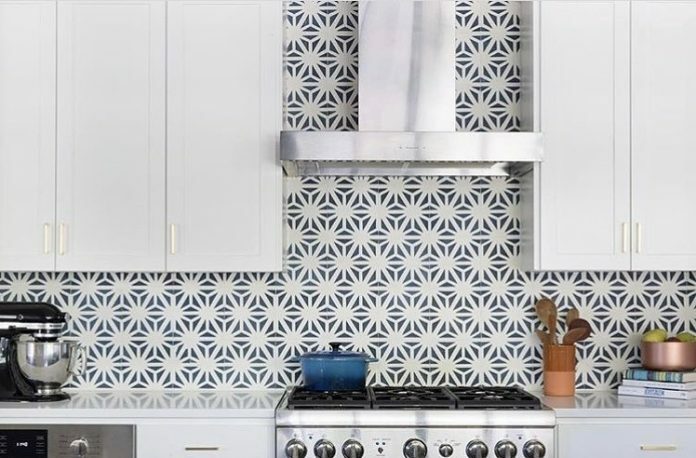 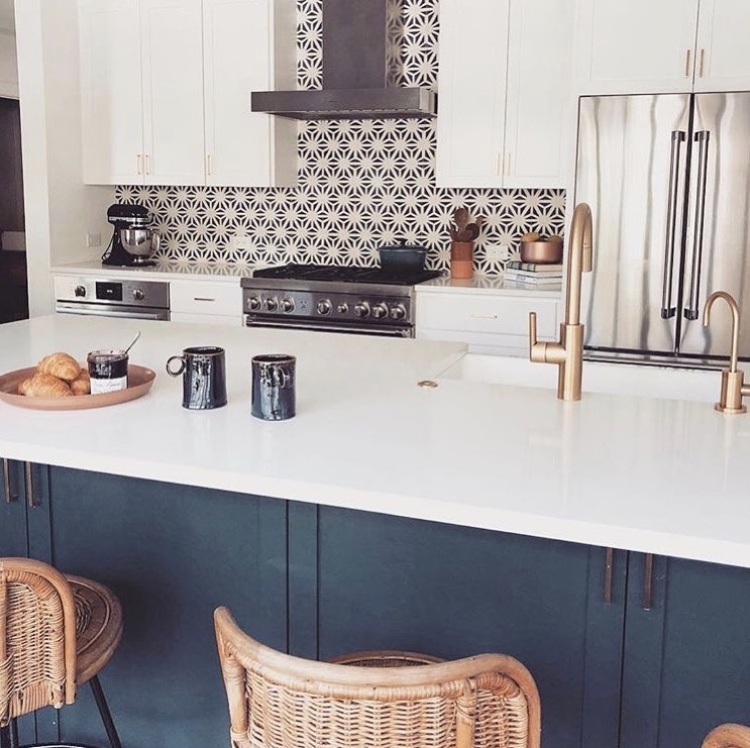 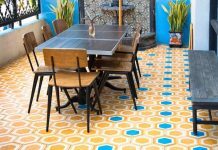 In this Austin kitchen by Lauren Ramirez, a backsplash of Tunis cement tiles is elevated by a backsplash of Granada Tile’s Tunis cement tiles. 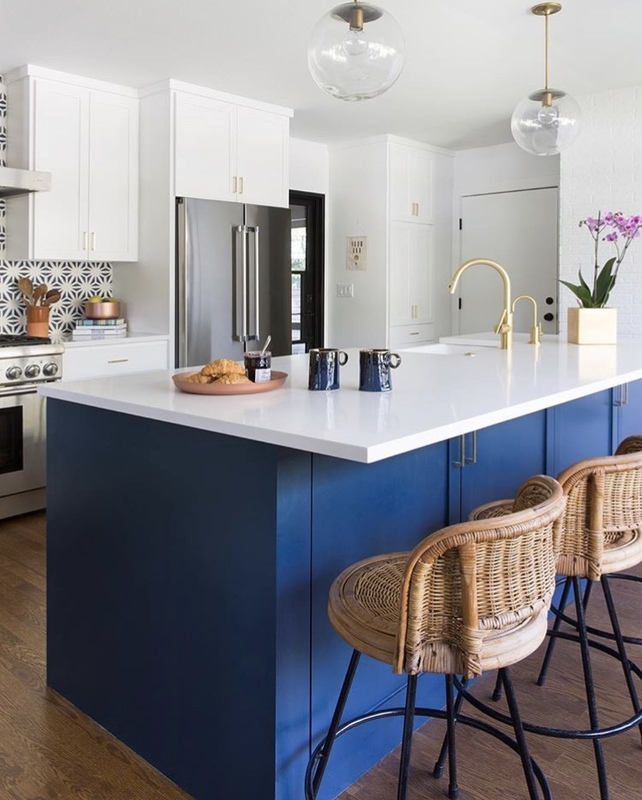 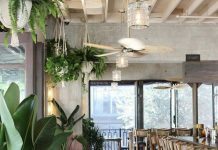 The blue and white design picks up the bright color of the island island while brass, wood, leather and rattan add warmth. 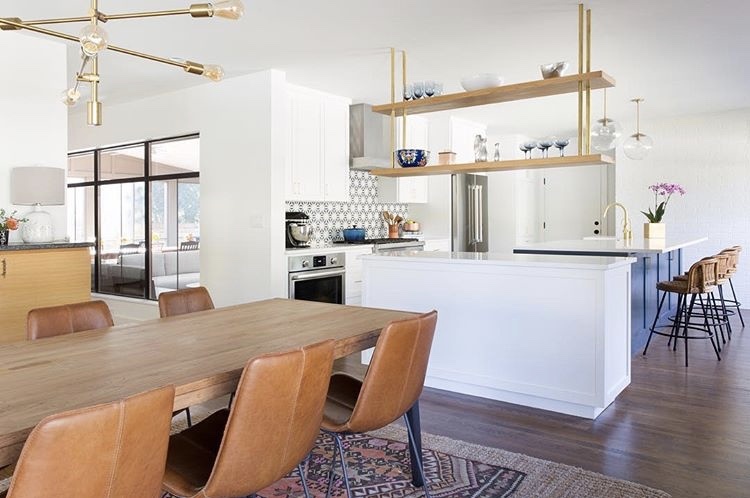 The vintage rattan bar stools and the leather dining chairs form a complementary pairing. 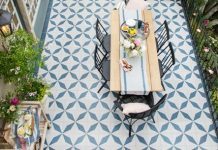 The open-weave of the rattan stools find its reflection in the Tunis cement tile pattern.